1) Install and activate The Events Calendar by Modern Tribe as well as Registrations for the Events Calendar Pro. Visit this page if you haven’t done this yet. 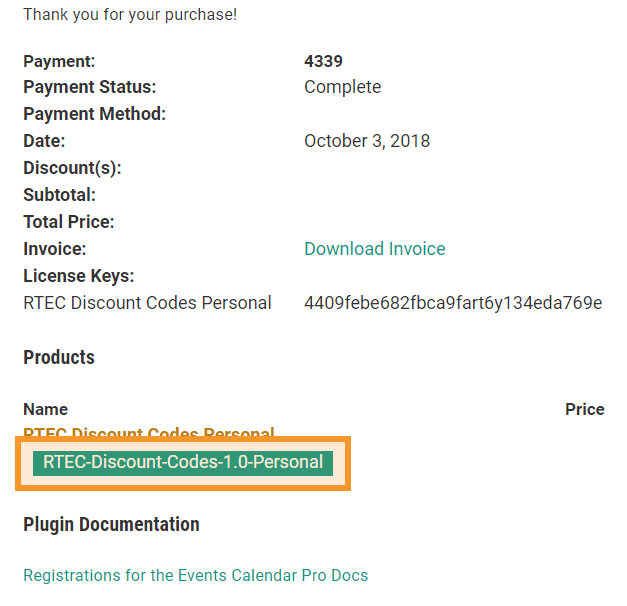 2) Once you’ve purchased the RTEC Discount Codes plugin you’ll be presented with the purchase confirmation screen which displays your license key and a link to download the plugin. This information is also emailed to you at the address which you provided during checkout. Take note of your license key and click on the download link to download a zip file of the plugin. 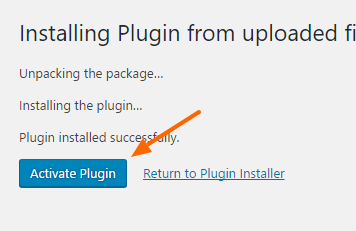 Note: You can also download the plugin zip file directly from your Account on our website. 3) Once you’ve downloaded the zip file there’s no need to open it. You’ll be uploading and installing this zip file directly to WordPress. Note: If you’re on a Mac then your OS may be set up to automatically unzip zip files when downloading. You can zip the files up again by just right clicking on the folder containing the files and clicking ‘Compress’. Alternatively, you can download the zip directly from your account. 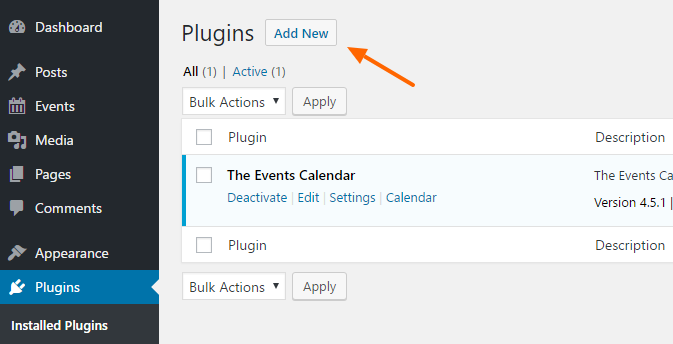 Click Add New at the top of your WordPress Plugins page. 4) Click Upload Plugin at the top. 5) Browse to the zip file which you downloaded when you purchased the plugin and click Install Now. 7) Under the Registrations menu, navigate to the License tab to enter your license key. 7) Paste your license key into the field and click Save Changes. 8) Click Activate License. If the activation was successful, your license status should be a green “active”. 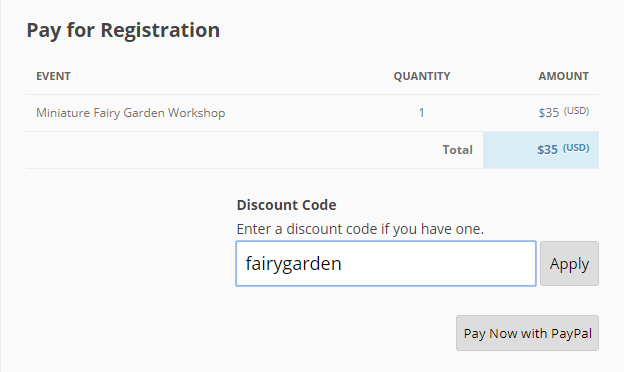 You can add, edit, and delete discount codes using this page. Click Add New to create your first discount code. Once a discount code is created, attendees will be prompted to enter a discount code before they pay for an event. 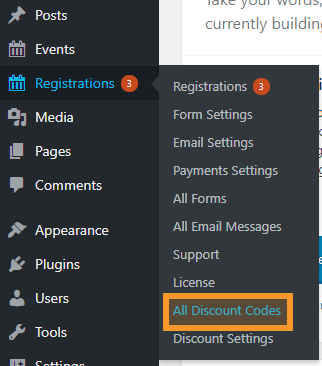 You can disable discount codes for specific events or restrict discount code use for venues and tiers. Begin by going to the “Edit” page for the event you would like to change. Then scroll down past the registration option to the “Discounts” area. Remember to change your settings for the venue and tier restrictions if you change the venues and tiers options.